Some reputed corporate houses have promoted PFI and some individual professionals associated in the financial sector for a considerable period of time. Institutional shareholding has paved the way for implementing the necessary professional management system and for practicing the culture of corporate governance. Mr. K. M. Khaled, Director of Getco Group, is the Chairman of Prime Finance & Investment Limited and represents Khaled Textile Mills Ltd. Mr. Khaled started his career as Assistant Engineer in East Pakistan Water and Power Development Authority and was promoted to the rank of Executive Engineer in 1967 and resigned from there in 1975. In the same year he started his business career as a Sponsor Director of Greenland Engineers & Tractors Co. Ltd (GETCO), dealer of Caterpillar Inc. – a world leader in the manufacture of Construction Equipment, Diesel and Gas Engines and Generators. He is also the Director of Prime Bank Limited and Prime Insurance Co. Ltd. He is also associated with quite a good number of business organizations engaged in trade, services and manufacturing activities. In connection with his business and conference, Mr. Khaled has visited many countries of the world. Qazi Saleemul Huq, Chairman of GQ Group, is the Director of Prime Finance & Investment Limited and represents GQ Enterprise Ltd. Mr. Huq has set up profitable businesses like GQ Ball pen Industries, GQ Enterprise Ltd., GQ Foods Ltd., GQ Marketing Ltd., Gq Properties Ltd., Gq Technologies Ltd., Maladesh International (Pvt.) Ltd. He is also associated as Sponsor Director with Prime Bank Ltd., Prime Insurance Ltd., DeltaSoft Ltd. (ISP & IT Solution provider) and GEP Holding Ltd. (Real State Developer). He was elected Member of the Parliament in 5th, 6th & 8th National Assembly. He was nominated C.I.P (Commercially Important person) by Government of Bangladesh for 8 years since 1991. Moreover, he was awarded “Top Ten Companies Award of Bangladesh” twice by Dhaka Stock Exchange and as “Best entrepreneur of the year Award“ by IBA Alumni Association. Apart from this, he has established private hospital in Dhaka and several educational institutions in Magura. Qazi Saleemul Huq has visited many countries for business development and also as member of Bangladesh Government delegation. Mr. M. A. Wahab, Chairman of Mawsons Limited, is the Director of Prime Finance & Investment Limited and represents Mawsons Limited. Mr. Wahab started his career in 1961 as Probationary Officer in United Bank Ltd. During the tenure of service in UBL now called Janata Bank, he held important positions like General Manager and had got experience in different areas of banking operations. In 1984 he joined Rupali Bank as General Manager and served there till June 1985. He was the Deputy Managing Director of National Bank Limited from 1985 to 1995. During the period from April 22, 1993 to May 31, 1994 he acted as Managing Director (Current Charge) of National Bank Limited. He is also associated with different financial institutions & insurance companies like Prime Bank Ltd., Prime Insurance Company Ltd., Prime Life Insurance Company Ltd., Fareast Finance & Investment Ltd. and others. Mr. Md. Nader Khan, Managing Director of Pedrollo Group, is the Director of Prime Finance & Investment Limited and represents Pedrollo N.K Limited. Mr. Khan started his business career in 1969 and has build up a good number of business entities engaged in the area of trading, indenting, manufacturing etc. He is the Managing Director of Pedrollo NK. Ltd. and Polyexprint Ltd. Mr. Khan is also the Director of Prime Bank Ltd. and Prime Insurance Co. Ltd. He is also the Director of Chittagong Commerce and Industry since 1989. Apart from business, he has been actively involved with Lions International for last 23 years. He is also associated in many other social organizations. Mr. Khan has widely traveled covering all the major cities & business center of the world. Mr. M. Shahadat Hossain Kiron, Managing Director of Dekko Group, is the Director of Prime Finance & Investment Ltd. and represents Agami Apparels Ltd. Mr. Kiron started his career through joining his family enterprise just after finishing his University education. Now he is the CEO of Dekko Group. During 1950 Roxy Paint was launched and then the business expanded towards the world of textile market with its readymade garments. Later on he set up a 100% export quality garments accessories factory with state-of-the-art technology from Europe to produce world class accessories like Buttons, Woven Labels, Poly Bags, Paper and Plastic products used in manufacturing various type of garments. With persistent effort, he has increased his business to Dekko garments Ltd., Dekko Apparels Ltd., Dekko Fashion Ltd., Dekko Accessories Ltd., Agami Aparels Ltd., Agami Aparels Ltd., Agami Accessories Ltd. and Globus Garments Ltd. His talents and devotion led the group to the production of Garments including shirts, jackets, jogging suits and also Paints & Varnish including Synthetic Enamel, Plastic Emulsion, Hammer Finish, Marine Paint, Clear Varnish etc. He is also the Director of Prime Insurance Co. Ltd. Mr. Kiron has widely traveled around different cities & business center of the world. Mr. Md. Aminul Haque, Managing Director of Getco Group, is the Director of Prime Finance & Investment Limited and represents Acorn Limited. Mr. Haque started his career in Industrial Development Bank of Pakistan, now called Bangladesh Shilpa Bank. In 1964, he joined the then East Pakistan Water and Power Development Authority as Assistant Engineer. Later on he joined Pakistan National Consultant in 1967 as Senior Engineer. He worked there up to 1972 In the same year he founded Greenland Engineers & Tractors Co. Ltd. (GETCO), dealer of Caterpillar Inc.– a world leader in the manufacture of Construction Equipment, Diesel and Gas Engines and Generators. He is also the Director of Metco Ltd., Prime Bank and Prime Insurance Co. Ltd. Apart from this, he is associated with quite a good number of business organizations engaged in trade, service and manufacturing activities. In connection with his business and conference, Mr. Haque has visited many countries of the world. Mr. M. A. Khaleque, the Managing Director of Maksons (Bangladesh) Ltd, is the Director of Prime Finance & Investment Limited. He started his career by establishing Maksons in 1988, which was mainly engaged in export, import, trading, indenting, and advisory and consultancy services. Mr. Khaleque is the Sponsor Director of the Prime Bank Ltd, Prime Property Holdings Ltd. and Representative Director of Prime Finance & Investment Limited on behalf of Maksons (Bangladesh) Ltd. Mr. Khaleque is the founding Vice President of Pirojpur Chamber of Commerce and Industries. He is also associated with many social organizations. As a part of his social work, he has established many educational institutions. Mr. Khaleque has visited many countries of the world. Mr. Azam J. Chowdhury, Managing Director of East Coast Group of Companies, is the Sponsor Director of Prime Finance & Investment Limited and represents East Coast Shipping Lines. Presently Mr. Kutubul Alam Chowdhury, one of the Directors of East Coast Group, is representing as a Director of Prime Finance & Investment Limited. East Coast Group comprises of East Coast Trading (Pvt.) Ltd., Greenways Industries (BD) Ltd., Gulf Resources Inc., Surma Oil Company Ltd., EC Distribution Ltd., EC Engineering Co. Ltd., EC Securities Ltd. Mr. Azam J. Chowdhury is the Chairman of the Board of Director of Green Delta Insurance Company Ltd. He is also the Director of Delta Brac Housing Co. Ltd. Mr. Chowdhury is the President of Bangladesh-Norway Chamber of Commerce & Industry. He is also the Director of Prime Bank Ltd., Union Capital Ltd., Prime Property Development Ltd. and Ekushey Television Ltd. He has publications of about 20 articles on Political Affairs, Business and Shipping which was published in major daily newspapers/journals at home and abroad. Mr. Chowdhury has widely traveled around different countries of the world. Mr. M. N. H. Bulu, Chairman and Managing Director of Berstoff Group, is the Director of Prime Finance & Investment Limited and represents Abeeco Industries Ltd. The Group comprises of National Chemical Mfg. Co. Ltd., Shafkat PVC Sole industry Ltd., Bulu International, Bulu Ocean Tower, B.N.S. Centre, Bulu International Indenting unit etc. He started his business in 1980 with marketing of Rexene & PVC products. Subsequently, he has expanded his business in different industrial sectors viz, Plastics, Chemicals, Pvc Sole, Textiles, Hosiery, Banking, Financial, Insurance & RealStates. Presently, his Group comprises of 22 concerns in 10 sectors. He is the Director of Dhaka Bank, Homeland Life Insurance Co. Ltd. and Pioneer Insurance Co. Ltd. He has achieved award for being a renowned Industrialist of the country. Apart from this, he is also the member of various Industrial and Trade Associations. He is the President of Bangladesh Rexin & Plastic Sheet Manufacturer’s Association and also member of all the recognized clubs in Bangladesh. Mr. Bulu has widely traveled around the major cities & business center of the world. Professional and independent management style is one of the hallmarks of PFI. Total operation of the company is managed by highly qualified professionals of different field under the broad guidelines laid down by the board of directors. Having deep ties with the industrial and corporate community of the country and realizing the changing economic landscape of the emerging market like that of Bangladesh, management of PFI has engaged itself in the perennial effort of product diversification and development of tailor-made financial solutions to address complex and often unique needs of the clients. The effort is evidenced by the continuous emphasis on specialization, which ensures balance between focus and growth- a vital element for successful realization of the core business objectives in the long run. Key professionals at the senior management level of PFI are as follows. The senior management is adequately supported by young and dynamic executive team, which includes professionals with specialized knowledge in the field of Finance, Marketing, Accounting, Economics, International Relations and other areas. Management believes that the success and growth of the company depends on the development of its human resource base. Training has become a regular affair. PFI continues to invest in human resource to provide them the opportunity to develop new skills and talents. Development of human resource base is one of the key components of the overall corporate strategy of PFI. The entire gamut of management structure is flexible which allows the executives freedom to foster entrepreneurial spirit to emerge as managers and leaders. Innovation is and will continue to be the core of the corporate philosophy. PFI continues to encourage fresh thinking at all levels to enhance the ability of the company to adapt and respond with speed, a competence PFI wants to be recognized for in the market place. Lease Financing is the principal fund based activity of PFI. Until now the company concentrated only on full payout financial lease transaction for financing a wide range of capital machinery, equipment and vehicles. We offer leasing as a modern financial instrument for managing corporate investments in movable equipment our customers represent different segments of local markets. We provide services to developing companies, stable middle-class enterprises and market-leading concerns. Rather than having your capital tied in one purchase, leasing allows you to utilize that capital elsewhere to general higher profits, it also reduces your cash outflow. As appraisal and documentation processes are simple, prompt and convenient service would ensure quick implementation of the project. Since Prime Finance owns the equipment the leased equipment does not appear on your balance sheet, your financial ratios improve. Raising new equity or debt for capital expenditure has many constraints that can be avoided when you opt for leasing. When your budget does not allow you to buy equipment, leasing can make the acquisition possible. Since rental payments are decided in advance, budgeting becomes easier. Lease rentals are treated as revenue expenditure and are entirely deductible for tax purposes. Direct finance for working capital. We provide long-term finance to the industrial houses varying for the period from more than 12 months depending on their need. We have expanded the service range of Bridge Finance beyond the concept of merchant banking. We provide short term bridging finance in anticipation of all types of immediate long term financing ranging from Term Loans to IPO or Equity investment. PFI is a major force in the merchant banking industry of the country engaged in capital raising function. PFI has successfully raised capital for companies representing different economic sectors. The key to our success lies in structuring the right financing instrument for each particular situation, taking into account our clients’ requirements as well as those of the investor. The types of financing instruments we typically structure are common shares, convertible bonds, preferred equity, loans with equity kickers, bonds with warrants, and redeemable shares or bonds, depending on the objectives of the strategic investor or the financial investor involved. By matching the specific requirements of our clients with the right products and investors, we create the optimal capital raising solution. Issue Management is the core function of the merchant banking arm. Over the years PFI has developed expertise to offer professional services to manage fund raising from public equity market. Major functions performed as Issue Manager are as follows. 6. Determining the appropriate timing for the issue. Till approval and publication of the prospectus. To provide a protective umbrella to the issuer company, PFI offers Underwriting services. Apart from acting as underwriter to public issue, we also act as the Arranger of Underwriting. Major services for underwriting arrangement are as follows. PFI acts as Private Placement Managers on behalf of the companies. Private equity is placed with institutional investors facilitating smooth and expeditious capital rising. As placement manager PFI provides the following services. PFI offers an extensive range of professional corporate finance services. We specialize in tailor-made, value-added solutions, which are particularly suited to small and mid-sized companies. We also provide a full range of advisory services to private and listed companies, including capital raising, mergers and acquisitions, listing rules compliance work and engineering financial transactions. We serve our clients in their best interest, creating value for them and compliment their business expertise with our own, to maximize their opportunities for growth. At PFI we believe that our clients are looking for innovative solutions and proactive advice, not merely strategies. Whereas some firms pride themselves on the product they offer clients, we pride ourselves not only on the outstanding quality, but also on the individualized nature of our service. We team up with you and act with your long-term future in mind. Our size and unique qualifications allows us to respond to your needs quickly, and with our best people. Many small businesses tend to operate within the traditions and practices of their industry. Within this context, no company ever becomes a leader by following the crowd. At PFI we employ our technical expertise and provide innovative solutions to create new paradigms for greater possibilities and growth for our clients. Both the institutional and individual investors may find the portfolio management services provided by Prime Finance & Investment Limited useful. Prime Finance & Investment Limited manages the investment portfolio of the investors with professional acumen and utmost trust and sincerity. Often middle market companies outgrow their financing sources or find they are not adequately leveraging their balance sheet or cash flow with traditional bank debt. When this occurs, a company may need to restructure its balance sheet. The first step required when contemplating a restructuring is to consider all options including, asset based loans, senior cash flow loans, institutional private placements, equipment financing, mortgages, asset securitizations, operating or capital leases, leveraged leases, sale and lease backs, subordinated debt, preferred stock, common equity, venture capital etc. Often more than one capital alternative will be chosen in order to minimize dilution to the shareholders. With a myriad of options and alternatives available, companies may need to engage an advisor to help them through the process. Every form of capital has its positive features, its constraints, and a cost. Prime Investments reviews and evaluates the implications various forms of capital are expected to have on the client’s pro-forma results and the ultimate effect on shareholder value. We then work with management in determining which option or options will prove effective in helping the company achieve its goals while minimizing cost. When different financing options are being evaluated, understanding all of the structural implications and intricacies of closing multiple financings is important. This process can be tedious and have long-term effects on a company’s balance sheet. PFI will help you in analyzing the relative costs and benefits of various options in deriving the best overall strategy for your specific situation. Estimation of the total cost of the project including working capital requirements. Debt equity structure showing sources of finance. Preparation of financial projections, which includes Proforma Profitability Statements, Cash Flow Statements and Balance Sheet Statements. A financial analysis of the project, which would include Return on Equity (ROE), Debt Service Cover (DSC), Break-Even Analysis and a Sensitivity Analysis on key variables. Preparing Memorandum & Articles of Association (M&A) for the project. ii) Provides preliminary information on the potential Joint Venture Partner, its business and promoters. iii) Organizes and facilitates in preliminary discussions on the proposed Joint Venture project. Structuring of a financial plan for the project to ensure the required rate of return to the shareholders. Creating synergy through merger and acquisition is still a relatively new concept in our country. It is, however, expected that a significant number of merger proposals will be forthcoming in near future once the local corporate houses become more familiar with the benefits and mechanism of such synergy. Prime Finance can help clients achieve this synergy by employing its expertise in the different aspects of merger/amalgamation and managing the whole process. The financial performance of PFIL has been in ascending trend after YE 1999. During YE 2004 the operating performance of PFIL was found to be satisfactory among its peer group. Profit before income tax stood at Tk. 77.67 million in YE 2004 from Tk. 58.85 million in YE 2003, representing 31.98% growth. Earning per share has increased to Tk. 40.10 in YE 2004 from Tk. 21.57 in YE 2003. The Board declared 20.00% cash and 20.00% stock dividend during YE 2004 and 2003 respectively. Operational revenue of the company has been increased to Tk. 337.12 million in YE 2004 from Tk. 219.52 million in YE 2003, representing 53.57% growth. Satisfactory growth in interest on lease finance (50.54% of total operational revenue) and direct finance (16.69% of total operational revenue) has been observed during YE 2004. The growth of interest income of lease finance and direct finance were 19.59% and 60.74% respectively. Income from sale of securities (considers as volatile source of income) has contributed significantly in the profitability in TE 2004, which was Tk. 73.37 million (increased 560.00% form the preceding year). Financial and management expense of the company has increased by 15.83% and 50.84% respectively in YE 2004. Bad loan provision during the year also soared up by 436.81% due to deteriorating asset quality and additional provisioning. Thus, the overall operational expense has increased to Tk. 259.94 million in YE 2004 (increased by 64.82% over the preceding year). Salary and allowances expences has increased from Tk. 13.90 million in YE 2003 to Tk. 20.94 million in YE 2004, representing 50.67% increase over the year. While making a peer analysis it has been observed that PFIL earned 21.41% net profit margin in TE 2004 against peer average of 24017%, representing relatively low margin earning of the company. The company has been experiencing deteriorating net profit margin during the last two years. However, return on average equity has soared up to 31.59% in YE 2004 from 23.13% in YE 2003 despite significant changes in equity base (15035% growth in YE 2004). Conversely, return on average assets has decreased during YE 2004 and stood at 3.81% from 4.55% in YE 2003, indicating significant outside borrowing (40.38% growth in YE 2004) to meet increasing funding requirement, While reviewing the operating efficiency it is observed that PFIL has been operating business with high cost of operation as well as high general and administrative expenses against the earning assets as compared to some of its competitors. Yield per one taka staff cost was also low. The cost to income ratio was 77.10% against peer average of 66.21% in YE 2004. G&A expense to average earning assets ratio was 2.02%, against peer average of 1.17% in YE 2004. The company earned before tax and provision of Tk. 7.87 by spending one taka staff cost against peer average of Tk. 11.50, representing low productivity of the staffs than the peer average. Fixed Assets at cost Less Dep. As with all investments, investors should be aware that there are risks associated with an investment in the company. This risk could result in loss of income or capital investment. Investors are encouraged to seek independent financial advice. The company’s business is dependent on availability of fund. If the company finds it’s difficult to get adequate fund to meet it business requirement then the company’s business performance will be affected. The company’s in ability of getting fund at a competitive price is a possible risk to be addressed. The Company has diversified sources of fund to reduce the dependency on typical source of funds like banks financial institutions. In 2004 the company issued bonds, which were privately placed successfully. Issuance of such bonds might be used effectively as an alternative source of fund. The management of the company is working on developing source of fund. A lessee or borrower may default in performing its lease or loan obligations and the company may be unable to enforce its remedies. The company’s inability to collect receivables due or to repossess lease assets in the event of default by a lessee could have a materials adverse effect on the company’s business, financial condition and/or results of operations. Pfi Ltd follows a very methodical client selection and project appraisal process in taking investment decision, which reduces the risk of default to a great extent. Moreover we have a separate lease-monitoring department, which pursue the over due clients in a very systematic way. The company’s leases are generally structured at fixed rates for specified terms. Increase in interest rates of borrowings could narrow or eliminated the spread, and hence, may have a material adverse effect on the company’s business, financial condition and/or results of operations. Although the consequences of unusual and abrupt increase in borrowing rate cannot be avoided but the company will definitely take all the appropriate measures to minimize the negative consequence. The company has experienced significant growth of operation during the last couple of years. If the management fails to procure proper human resources, to increase managerial efficiency and to develop a team effort to cope with the pace of the growing business operation there might be an adverse impact on the company’s business, financial conditions and/or results of operations. Management always plans to launch any product or under take any scheme after careful analysis its impact on the human resource of the company. The Company is operating in a highly competitive market. Major competitors have more recourses than those of the company, including better image, broader range of products, complementary lines of business etc. It is very difficult to predict in advance the move of the competitors the company will have to face in the coming years. We are always cautions in offering products and services at a competitive terms & condition. In 2004,Companys highest exposure was in public transport sector. Changes in government policy as well as policy of foreign countries may affect adversely the business of the company. Our strategy is to maintain our portfolio diversified in major sectors of industries in line with country’s growth scenario as well as industrial policy. We always monitor the changes in the policies of the government and adjust our strategy accordingly. The company’s leasing activities generate significant depreciation allowances that provide the company with substantial tax benefits on an ongoing basis. In addition, the company’s lessees currently enjoy favorable tax treatment due to entitlement of deprecation .Any change of current tax laws may male lease financing less attractive and would have a material impact on the Company’s business, financial condition and results of operations. We have been putting or best efforts to manage our to and accounting matters professionally. Unless a material change takes place in the fiscal policy, which would affect the leasing industry as a whole, we are prepared to address issues that may have any significant impact on the company’s business, financial condition and results of operation. The overall demand for the company’s product is linked to macro parameters like GDP growth, demand for project finance, healthy capital markets and the overall growth of Bangladesh economy. A slowdown in economic growth will have an adverse impact on the demand for credit and quality of borrowers. We always review the changes in the local as well as global economic factors so that we can take necessary steps to address its impact on business of our company. Due to diversified products and services the company expects to minimize the effect of aforesaid issues. We don’t expect serious political instability that may significantly affect the overall business performance of the company. The company operates under the specific guidelines laid down by the Bangladesh Bank as well as the securities and exchange commission (SEC). Any sudden change of the guidelines or policies formulated by Bangladesh Bank and/ or the SEC may affect the business of the company adversely. Unless the regulatory authorities take any adverse policies, which may materially affect the industry as a whole, the business of Prime Finance & Investment Limited will not be affected that much since we always particular in complying rules and regulations of the authorities. Non-bank financial institutions (NBFIs) represent one of the most important parts of a financial system. In Bangladesh, NBFIs are new in the financial system as compared to banking financial institutions (BFIs). Starting from the IPDC in 1981, a total of 25 NBFIs are now working in the country. As on June 30, 2001 the total amount of paid up capital and reserve of 24 NBFIs stood Tk.6901.8 million (BB, 2002). The NBFIs sector in Bangladesh consisting primarily of the development financial institutions, leasing enterprises, investment companies, merchant bankers etc. The financing modes of the NBFIs are long term in nature. Traditionally our banking financial institutions are involved in term lending activities, which are mostly unfamiliar products for them. Inefficiency of BFIs in long-term loan management has already leaded an enormous volume of outstanding loan in our country. At this backdrop, in order to ensure flow of term loans and to meet the credit gap, NBFIs have immense importance in the economy. In addition, non-bank financial sector is important to increase the mobilization of term savings and for the sake of providing support services to the capital market. The focus of this paper is to highlight the necessity and importance of NBFIs to strengthen the financial system for rapid economic development of the country. Building a sound financial system is an immense necessity for the economic development of a country. The main task of the financial system is to mobilize funds from the surplus budget unit to deficit budget unit. Financial system provides a strong mechanism for collection and allocation of financial resources among the various alternatives. However, in a developing Country like Bangladesh it is very hard to reach in a sound financial system due to the lack of requisite institutions, expertise and resources. Many legal and regulatory frameworks are needed to ensure discipline in the financial system. For these reasons, careful assessment of the financial system is necessary to determine about which features of the financial system are basic and which features are secondary and the types of institutions that are essential in the process. Actually, financial system is decomposed of into two basic types of institutions. One is the banking financial institutions (BFIs) and the other is the non-banking financial institutions (NBFIs). These two financial institutions are different in respect of their activities and treatment of the assets and liabilities in the financial market. For a well functioning financial market along with the BFIs, NBFIs have an important role to uplift the economic activity. These two financial sectors can simultaneously build up and strengthen the financial system of the country. This paper analyses the importance and roles of NBFIs in developing economy of Bangladesh. Our study is confined to 25 NBFIs who got license from Bangladesh Bank up to 2001 under the Financial Institution Act-1993 and Financial Institutions regulations –1994. The NBFIs sector in Bangladesh consisting primarily of the development financial institutions, leasing and investment companies, insurance industries, and the corporate debt market account for only around 4% of the financial system. Development of the NBFIs in a sustainable basis contributes to the speed and efficiency of the financial system. The necessity for the development of NBFIs could be best judged with the following issues. Firstly, the NBFIs are markedly different from the banking institutions and with different phenomena. These two kinds of financial institutions are complementary rather than substitute organs in the financial system. Existence of banking and non banking financial institutions, money market and capital market keep the financial sector complete and enhance the overall growth of the economy. Secondly, there is a maturity mismatch in the sources and uses of funds in our financial system, which leads inefficiency in the financial system. Commercial banks by their definition are unsuited for long term lending. Inefficiency of BFIs in long-term loan management has already leaded an enormous volume of outstanding loan in our economy. However, with the present status, expertise and efficiency, the NCBs are barely able to serve the future investment demand of the country. Private commercial banks are less experienced and less equipped in this regard and they would not take the load or be able to take future challenges of term lending of the country. At this backdrop, in order to ensure flow of term loans and to meet the credit gap, development of NBFIs is a compelling necessity for the economy. Thirdly, sophisticated and well-developed capital market is considered as the hallmark for a market economy worldwide. Although our country is moving toward a full market based economy, capital markets are still in infancy. This is due to lack of requisite institutions those are needed in the system. In the last twenty years there has been a tremendous growth worldwide of non-bank financial institutions to provide support services to the capital market. These range from broker dealer to investment banker. The health of the capital market is largely relied upon the health of the banking and non-banking financial institutions. The key players are the non-bank financial institutions in the development of the capital market. Although NBFIs have immense necessity and greater importance in the financial system of Bangladesh, they are severely suffering from some problems including the fund problem in terms of both availability and cost. Initiatives from all concerns are necessary to eradicate the fund constraints to ensure easy flow of fund. The existing regulatory and legal frameworks for NBFIs are not adequate in a greater extent as compared to BFIs. In some cases the types of regulation for the NBFIs are analogous with the BFIs that create some problems. It should be framed separately for NBFIs in terms of deposit and non-deposit takers and on the basis of their activities. Again, judicial and legal reforms are also necessary to build up such organizations. However, Bangladesh Bank has taken several initiatives in recent years to improve the suitability of the regulatory framework. Another important feature is that deposit mobilization and credit participation by NBFIs are nottaken into account while formulating the monetary and credit policy of the country. The term deposits mobilized by the NBFIs are not yet included in the money supply of the country which have eventually impact on the monetary policy. .These issues are mainly concerned with the development of NBFIs as well as their role in strengthening financial system of Bangladesh. This paper studies the activities of the NBFIs on the basis of the secondary data obtained from different sources like NBFIs, Bangladesh Bank, World Bank, Ministry of Finance, daily news papers, etc. We have faced difficulties in analyzing data due to inconsistency and insufficiency. The periodical publications of different NBFIs are not complete and also they do not follow unique system of data reporting. The banking financial institutions particularly jeopardize economy of Bangladesh. The banking financial system in Bangladesh comprises of 4 nationalized commercial banks (NCBs), 29 private local commercial banks, 13 foreign commercial banks, and 5 nationalized specialized banks with a total of 6156 branches (BB, 2002). Adjacent to the present free market economy and globalization concept, privatization of banking sector is getting preference, and performance and confidence of private banks are increasing day by day. The four NCBs control 52.7 percent of total bank deposit on June, 2001 from 54.5 percent at the end of the previous year and accounted for 45.5 percent of total bank credit at the end of 2000/2001 from 47.6 percent of the previous financial year (BB, 2002, p.33). However, a substantial portion of loans is non- performing. Given the situation, Bangladesh economy particularly is passing a transitional + period to restructure the financial sector. The overall scenario is that private banking financial Institutions (PBFIs) are likely to emerge slowly to capture the market shares of the NCBs. However, a quick and complete restructuring is needed to get the benefits of the market-based economy. The state-owned baking sector is compelled to follow the government directions strictly in doing their business as well as is acting as a source of government’s deficit financing. On the other hand, PBFIs are being confined with short-term finance because of the fear that the loan will be bad. In this situation, some unsolved questions arise in this area that include how much the economy should rely on bank versus non-bank financing (leasing)? In a conference on “Building Sound Finance in Emerging Market Economies” held at IMF headquarter in Washington D.C on June 10-11, 1993, a group of participants viewed that bank lending would be unprofitable and misguided in the transitional (Caprio et.al. 1994) period because of the risk of the environment and absence of skilled manpower. They also argued that development of the capital market would get preference if privatization were thought as the key part of the economic development. The participants also added fuel to the debate by proposing a technologically sophisticated and expensive payment network to facilitate the non-bank finance. However, anyone can envisage the need of both bank and non-bank financial institutions for economic development. Banks are the principal sources of working capital and provide highly liquid investment in which firms’ can stone receipts. On the other hand, NBF sector is necessary to increase the mobilization of term savings and enhance availability of equity and term finance for the private sector as well as support services for the capital market. Bank funds provide liquidity, which ultimately facilitate trade in commodities and in financial assets. Moreover banks act as the lender of the first resort of other financial institutions, which ensures its importance in the financial system. In recent years, the dominance of banks as financial intermediaries in some developed countries has been reduced somewhat with the emergence of the non bank financial intermediaries and with the development of the corporate debt market that gives firms direct access to individual savings. Development of the government securities promotes the development of the money market. Secondary market for equity maximizes the wealth of the capitalist system and individuals demand for liquidity satisfied. Given this situation the matter is that with the banks, how far the non banks could simultaneously build up to bring the efficiency of the financial system. The history of the economic development of different countries of the world suggests that financial development of the country start from banking financial institutions followed by the non banking financial institutions. But in the later stage, the contribution of non-banking financial institutions becomes more eminent than the BFIs. Actually both types of institutions are needed and competitions within and between banks and non-banks could enhance economic development and improve their expertise. One important arena of leasing is the deployment of funds in the long term financing. By definition, banking financial institutions should not involve in the long term financing and they are the institutions related to the money market instruments and allowed to make only fully collateral short term lending. Bank business is based on the depositors’ money. Lending long is risky because it creates least accountability to the borrowers. Borrowing short and lending long by the BFIs create a mismatch in the financial system and hamper the macroeconomic stability. Time lag between lending and borrowing of the commercial banks has leaded a maturity mismatch as there is about 10 months average maturity gap between the deposit fund and loan portfolio (BB, FID). Again the interest rate charged by banks does not cover the total cost of funds. Before 1990, there was direct monetary control and the central bank administered the interest rate for both deposit and credit. After that although interest rates were not controlled by the central bank, commercial banks did not have such professionally –expert personnel to assess the lending risk. Banking sector in Bangladesh felt a lack of basic expertise, which was needed for the market-oriented approaches. In the same way performance of the two public Development Financial Institutions (DFIs) namely BSB and BSRS are very unsatisfactory as their non-performing loan is over 50% for the last several years. These issues demanded for a sustainable basis for long term financing which is a major part of the leasing business by nature. However, in Bangladesh, the BFIs are still the principal sources of long term financing, accounted to about 70-80% term loan disbursement (BB, FID). Before 80s, there was no alternative mode of long term lending other than the BFIs. So BFIs were in a tremendous pressure to provide long term financing for industrialization of the country. After 80s, there was consensus among the government policymakers and international bodies to search an alternative source. Subsequently, leasing has started to emerge in the financial system of Bangladesh. We discuss NBFIs performance in leasing specially in this section because of its some imposing features though leasing are analyzed under the head of long term financing in this paper for many times. One important feature is that the leasing industries in Bangladesh have grown significantly within the last 10 years. Competition among the leasing industries has been intensified and this competition in leasing business does not come only from the NBFIs but also from BFIs. Many commercial banks and other financial institutions like ICB (Investment Corporation of Bangladesh) are participating in the leasing business. The commercial banks are doing lease business as EZARA under Section 7 DA (4) of the Bank Companies Act 1991. Commercial banks are also taking advantage of their low costs of fund than the leasing companies. In this situation, leasing companies have an argument that if banks are allowed to do lease business, so they should be permitted to do banking in a limited scale. This type of agreement may not be considered as good because it would create difficulties in the smooth functioning of these two sectors. The imposing picture of the lease industry in Bangladesh over a short period of time built up the confidence that it could grow with our expected level. Leasing should not be confined with some selected sectors. It should come with a view to financing small and medium scale enterprises, especially taking into considerations into the manufacturing enterprises, forward and backward linkage industries etc. The leasing companies have a changing role with the liberalization of capital and money market, with a vision to increase investment and production of the economy. Particularly, leasing sector in Bangladesh has identified the areas capital machinery, heavy Construction equipment, transport vehicles, information technology (IT), energy and power sector, air conditioning plants and equipment, tractors, trailers, power tillers, consumer durables etc. as the potential for financing (Chowdhury A, 2001). However, leasing companies in Bangladesh are confined with the less risky investment. Leasing should be expanded to more risky and higher return investment like venture capital, energy resource etc. In Japan, leasing in computers and office machinery captures more than two third of the market. In Bangladesh, leasing companies can come forward to expand the IT sector, and thereby can play a significant role in the development of the economy. The essence of a market based financial system is the well-organized and efficient capital market. The stock market is the first and foremost forum in which individuals can trade risk and return, firms can raise capital and stockholders can maximize the value of their shares. At present, the worldwide capital market provides an excellent mechanism for mobilizing savings for industrialization. Through the efficient pricing of the shares in the market, the wealth of the company is maximized and individuals get prize for their sacrifice of present consumption. On the other hand, primary market gives the opportunity to the firms to generate capital from the public and also provides individuals participation in the firms’ ownership. The development of the secondary market for equity does not contradict with the development of the banking sector. In many countries of the world especially the countries of the continental Europe and Japan have started their reforms based on bank-dominated system first. So a full pledged reform program of financial sector includes the development of both bank and non-bank finical institutions in the financial system so that the overall savings and investment activities improve significantly. Non-bank financial institutions are permitted to work as merchant banker. In this situation, they have to take a separate license from the Securities and Exchange Commissions (SEC). Merchant banking activities involves activities like a manager of the issue, underwriter, bridge financer and portfolio manager etc. NBFIs can venture in such types of risky businesses because of their particular types of sources of fund, which facilitate them to provide institutional support to the capital market. On the other hand, bank’s money is the depositors money and so that they go for less risky short term financing. For this reason banks are subject to high regulations and NBFIs are little or no regulations around the world and thereby can go easily for risky investment such as merchant banking, venture capital etc. NBFIs are not permitted to use ‘bank’ in their names and use companies. Their funding is not covered by the government protection. These distinct natures make the NBFIs separate from the BFIs and place a separate arena in the financial market place. However, one may argue for the commercial banks involvement in the capital market as it follows the universal banking system, such as that of many continental European countries, Germany in particular. In the universal banking system, banks provide both commercial and investment banking services. The principal arguments are to lend from the equity and to provide economics of scale to the banking companies. But according to the some economists, the model might be practically inappropriate. Kundleberger, Blommestein Spencer, Sleeinhere, Huvencer and Muldure are few of them. The weaknesses identified by them are first, it gives significant equity stake to the commercial bank and reach a certain proportion without approval from the central bank. Secondly, commercial banks feel lack of expertise and experience to assess the potential risk and return of the investment in the market. Commercial banking activities are less risky than the security operation and risky security business may affect the commercial banking activities. Again Muldure (1992) got no evidence of economies of scale in the universal banking. So, capital market development needs the simultaneous development of associate institutions like NBFIs. NBFIs capture the second position in the world capital market in volume in the early 90s. NBFIs activities in this market involves investment and merchant banking, including the portfolio management, issue managing, underwriting and bridge financing, consultancy or advisory services, selling of financial data, corporate agents in merger and acquisition, investment counseling et. NBFIs are required to take a separate licensee from the SEC to do the activities related to the capital market. In our country, 7 NBFIs have got license from the SEC to do business. Among them, SABINCO is the largest portfolio investor and PFIL holds 46 investors accounts, the highest among all the merchant bankers working in the market. The NBFIs those are working as merchant banks are also working as issue manager or underwriter of the issue. A careful analysis of the activities of 27 merchant bankers reveals that NBFIs are now in the leading position among the merchant banks. The prime sources of leasing are loan from the other commercial banks, term deposits from the public, and fund from capital market by issuing shares, debentures, bonds etc. and loan facilities from the international agencies like ADB, IDA, IFC etc. 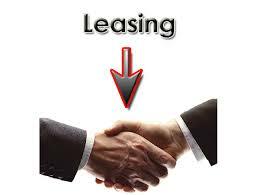 As on December 31,2001, 11 leasing have found to hold the lease deposit with a total amount of TK. 710.030 million (BB, FID). Due to various reasons, the deposit collection of the leasing is not satisfactory and it holds insignificant portion of the country’s total deposit. Leasing is facing some difficulties in raising their fund. They have to collect fund from the credit lines of the commercial banks at a very high rate of interest ranging up to 15%. Moreover, they have to provide high and expensive collateral securities like fixed deposits, and insurance guarantees etc to borrow fund from the commercial banks. Rising of fund from capital market has become a distant possibility due to absence of an efficient capital market in the country. Moreover, the capital market in Bangladesh is yet to recover from the market crush of 1996 and there is lack of sufficient investors’ participation till now. Again, it is also high risky for taking long-term foreign currency loan because of exchange rate fluctuations and lack of absorptions scheme against fluctuation. Institutions Development Project (FIDP) to the Government of Bangladesh (GoB). IDA funding is placed at USD 46.9 million. An important objective of this project is to develop the capability of the financial intuitions to raise medium/long-term resources. The project has established Credit, Bridge, and Standby Facility (CBSF) to implement the financing program for private sector enterprises through financial institution. Bangladesh Bank is acting as the administrator of the FIDP/CBSF. The GoB has provided co-financing for the project an amount of US$5.00 million, US$3.00 million of which is earmarked for the credit component and US$ 2.00 million for liquidity mechanism. The FIDP has already started working since early 2000 and it is hoped that it will help raising medium/long resources for leasing. Bangladesh Bank has taken several steps to reduce the costs of the leasing. The Statutory Liquidity Ratio (SLR) of the financial institutions was reduced from 10.0 percent to 5.0 percent, of which 2.5 percent was to be kept as Cash Reserve Requirement (CRR) with the Bangladesh Bank and remaining 2.5 percent would be kept in cash or other liquid assets. Leasing that do not accept term deposits are required only to maintain the SLR at the rate of 2.5 percent (BB, 2002). To be successful, the company must do a better job than competitors of satisfying target consumers. Thus marketing strategy must be geared to the needs of consumers but also to the strategies of the competitors. The competitive marketing strategy a company adopts depends on its industry position. There is lack of marketing activities in the non banking financial sector like leasing. Service is the products and interest rate is the price of the leasing company. Here the implication of marketing strategy largely depends on the public relation. The performance of the NBFIs in leasing business suggests that the industry can be growing up in a sustainable basis. Leasing has to be equipped with highly professional personnel and technological advancement to chase the future opportunities and competition as well. Strong institutional support is necessary for the development of capital market which is the core of economic development in the market economic system. So NBFIs should concentrate more on their activities in the capital market. For rapid growth and development of this sector, fund problem should be solved on a priority basis. Opening of a refinancing window even for a limited period of time may be considered after a strategic evaluation. It is recommended that government and the central bank will take initiatives to ease the fund constraint of leasing so that they can minimize their cost of fund and to bring their cost of fund at a market level. The regulatory framework will definitely improve and promote the activities of NBFIs, but the procedure is always subject to improvement with the diversification of products of NBFIs. The NBFIs should publish their annual report following a unique system. It is good that BB have simplified the rules and procedures for submission of returns to BB. It is recommended that BB should include analysis of NBFIs sector in details in their periodical publications. NBFIs deposit and credit should be accounted in the money supply for effective monetary and credit management. Further research on the significance of their contribution in the economy is required. Emergence of NBFIs such as leasing has created a new avenue in our bank dominance traditional financial system. Traditionally banks are doing such businesses that they are not supposed to do. Long term lending of banks is mostly unfamiliar product for them, and has created a serious distortion in the financial market. Rather than gaining any benefit from such types of activities, the society is now carrying the load of overwhelming default loans. As leasing is considered as an alternative of long term financing many NBFIs have strong performance in leasing business. The performance of the NBFIs in leasing business suggests that the industry can be growing up in a sustainable basis. But leasing must not be confined with selected sectors. NBFIs have to be equipped with highly professional personnel and technological advancement to chase the future opportunities and competition as well. Strong institutional support is necessary for the development of capital market which is the core of economic development in the market economic system. NBFIs around the world provide institutions support to the capital market. In Bangladesh, only 7 NBFIs are registered with the SEC and their activities in the capital market are very limited. So NBFIs should concentrate more on their activities in the capital market. Leasing is suffering from high cost and scarcity of funds. At present, with high cost of fund non-banks are forced to compete with the banks those have relatively low cost of fund. This situation somewhat hampers the growth and development of leasing. For rapid growth and development of this sector, fund problem should be solved on a priority basis. Opening of a refinancing window even for a limited period of time may be considered after a strategic evaluation. Banking has the multifaceted own activities so that for bringing more efficiency in their own efficiency as well as the efficiency of the financial system they should not be involved with the activities that the leasing can do. It is recommended that government and the central bank will take initiatives to ease the fund constraint of leasing so that they can minimize their cost of fund and to bring their cost of fund at a market level. Leasing from their part shall be much more attentive in rigorous project analysis to perform the loans well. A modern and dynamic regulatory framework is required for the rapid and effective development of NBFIs. The NBFIs are now regulated by the Fiancial Institutions Act 1993 and Financial Institutions Regulations 1994. Some weaknesses of these regulations have been identified. NBFI regulations should be the classification into deposit and non-deposit takers. Those NBFIs’ activities are involved with the capital market that is those obtain funds through public offering of securities should be under the regulatory jurisdiction of the Security and Exchange Commission. Bangladesh Bank has formulated and declared policies for classifying and provisioning of investment resources of NBFIs in June 2000. The classification rule has been formulated with a view to judging quality of investment funds, strengthening discipline in lending and recovery, securing peoples’ deposit, having provisions for the loss of unrecoverable invested funds and imposing interest against bad investment. This classification procedure will definitely improve and promote the activities of NBFIs, but the procedure is always subject to improvement with the diversification of products of NBFIs. Government of Bangladesh has already taken some important steps to patronize the sector including allowance and pension and insurance fund to invest in the capital market, reduction of stamp duties and taxes of issuing cost of bonds and imposition of 10% tax on interest income arising from national savings certificate. Government has already initiated to build a secondary bond market with IMF assistance. It will be better for NBF sector if the secondary bond market could be established on an urgent basis. The NBFIs should publish their annual report following a unique system. It is good that BB have simplified the rules and procedures for submission of returns to BB. It is recommended that BB should include analysis of NBFIs sector in details in their periodical publications. In this way, accountability on the activities of NBFIs can be established with more efficiency to the stakeholders. NBFIs deposit and credit should be accounted in the money supply for effective monetary and credit management. In sum, this paper mainly discusses and highlights some important aspects and areas of NBF sector of Bangladesh that could receive much attention from policymakers. There are many problems in the development process of NBFIs and consequently strengthening the financial system of Bangladesh. It is now well established that NBFIs can contribute much in strengthening the financial system as well as in the process of economic development of the country. Since inception in 1986, NBFIs are somewhat successful to draw attention of the people and establish its importance in the financial sector as well as in the economy of Bangladesh. It is hoped that in future NBFIs would be able to play more significant role in the development of economy of Bangladesh. Further research on the significance of their contribution in the economy is required.